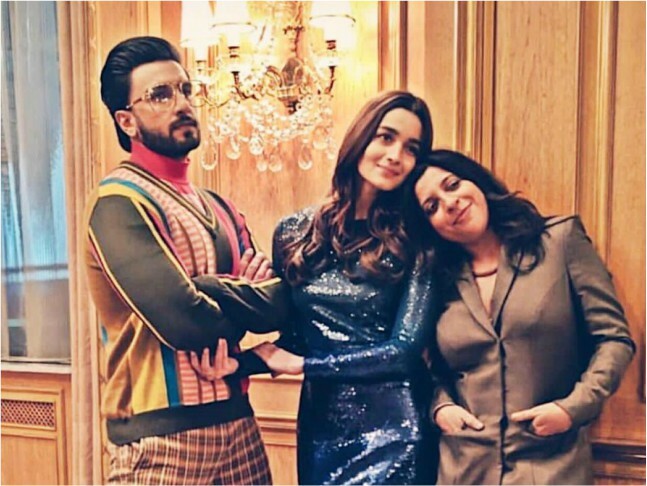 Zoya Akhtar is all geared up for the release of her upcoming film Gully Boy starring Ranveer Singh and Alia Bhatt in the lead this tomorrow. With a great body of work in her kitty, her film Gully Boy is eagerly anticipated and already a winner thanks to the trailer and the rap songs. Breaking the mould of showing the life of super-rich in her films, this time around Zoya has shown the life of a struggling rapper who rises from the bylanes and slums of Mumbai to conquer his dream. The film was extensively shot in Dharavi. During a tete-a-tete with a leading daily, Zoya spoke about her experience of working with Ranveer and Alia. While Ranveer is the new superstar on the block with most of his films earning moolah at the box office and his last outing in Simmba becoming the most successful film of his career, Zoya still feels that the three Khans are still a force to be reckoned with. Although 2018 has not been a great year for either Shah Rukh Khan, Salman Khan or Aamir Khan whose films bombed at the box office, Zoya feels that their time is not over yet and the star system is here to stay. Zoya has completed 10 years in the industry as she kickstarted her career in 2009 with Luck By Chance. Besides Gully Boy, she has directed films like Dil Dhadakne Do and Zindagi Na Milegi Dobara.